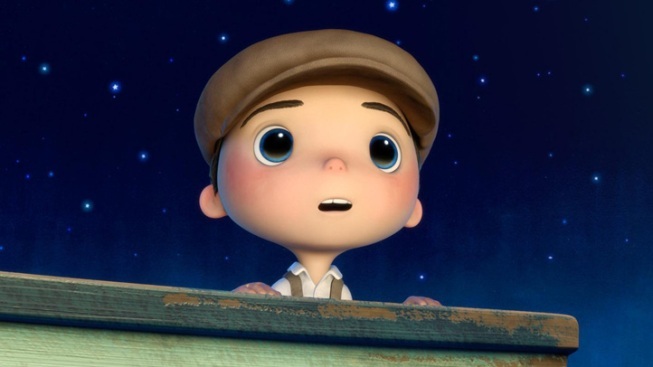 "La Luna," an Oscar-nominated short about a three generations in a family business, is currently showing before "Brave." Perhaps the most poetic and enchanting of all the many shorts from Disney’s high-quality CG animation wing (and, at seven minutes, its longest), the Italian flavored coming-of-age story “La Luna” enraptured even Oscar voters, who nominated it as one of the past year’s best animated shorts. Director Enrico Casarosa reveals the inside story of how he and his team created a glowing modern classic. Was this based on a folk tale, an idea you came up with or stories someone told you? 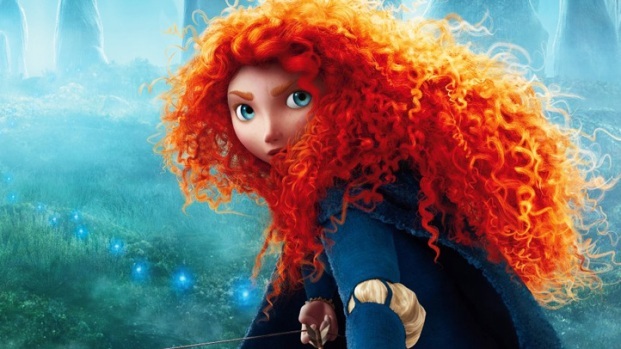 A sweeping Scottish epic with a scrappy ginger heroine front and center (voiced by "Boardwalk Empire" star Kelly McDonald) who must help save her father's kingdom. Opens June 22, 2012. Expanding on the gibberish dialect used and your own father and grandfather – were those elements you always knew you’d have from the beginning? The gibberish I really did have in my mind, mostly because I love a lot of animation that has it. There’s an Italian animation called ‘La Lina,’ which is worth looking up on YouTube if you’ve never seen it. It’s a simple little line where a hand would come in and draw a character made out of a line. The character would be always talking this gibberish, gesticulating a lot, so that was always the inspiration. That was the example and inspiration that told me there was something very universal about gibberish that would be fun, but also very Italian because we could do gesticulating. So we could have a lot of interesting flavor to that. It was hard to convince John Lasseter for it because at first he wasn’t quite on board with that. We do always in our story reels temp voices – we call it scratch – and it was me and the editor doing it [mimics gibberish], and it was kinda annoying, and I think JL was right about that. It took us awhile to find the right tone of gibberish so it wouldn’t be too overbearing. You want a little bit of pressure from these guys, but not too much. And a little bit to find the right performers. We had to look for a grandpa. We tried someone younger and it was sounding like someone wasn’t grandpa. We found this wonderful 75-year-old – Phil Sheridan is his name and he did a great job. The first day he came on he says, ‘Do you want me to do this with my teeth, or without my teeth?’ We were so impressed! We said, ‘Let’s try it without!’ and everything you hear is without his teeth…There’s also another factor of gibberish that I love: it’s of childhood. My daughter makes up languages all the time. It seems that kids just right away get it and accept it immediately. It’s a little bit of the world of childhood. What has this experience been like for you – to produce something for Pixar and then to be nominated for an Oscar for the work? 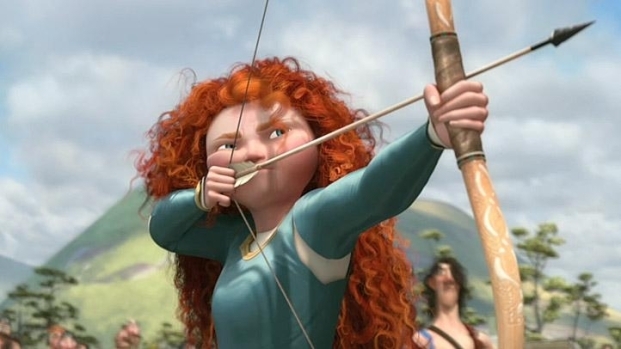 At Pixar, what’s their general approach to the thinking behind the shorts? What are they hoping, internally is happening: are they trying to spark new creativity among the staff, discover fresh talent, or is there also a commercial agenda? What’s the checklist? I don’t think there’s much of a commercial agenda. We’re not really making money with shorts but they’re a wonderful place for people like me and everybody in the small team for a short gets to do a little more. So everyone takes on a little more responsibility. It’s a great place for everybody to get a great learning experience and taking on leading roles. I think then as far as the creative side of it, it’s a wonderful place for us to take some chances. They are shorter in form. They can be stylistically different. They’re not necessarily the research-and-development place they used to be a little bit. But the wonderful thing is, in this balance between art and commerce, they can be closer to art. And that’s what’s great about it. The last thing is, really, John Lasseter and Pixar really love and believe in having a little appetizer in front of your feature. The short as it used to be, in the Golden Era, as a pre-feature. From concept to completion, what has the process been? And what brought John Lasseter on board the notion? We pitch to John to begin with. You come with two or three ideas to John, so there’s a pitch day. When he saw a lot of it, he was on board and immediately liked ‘La Luna.’ Then it was a little bit about waiting for the right timing. There’s a little bit of waiting time to have enough people for me to work with. We’re so busy with features, there are peaks in production where no one would be available. I had to wait a few months. The actual production was nine months and I was on it a few months before storyboarding. Being a storyboard artist, the nice thing was being able to do that myself. I made a lot of watercolors. In fact a lot of those watercolors ended up inspiring this look. I made roughly 20 watercolors and scanned through key note telling the story. I had my little remote. You try to change it up. The actual story I had printed on boards. I liked the physical look of the old storyteller in the street – card by card. It’s actually a fun process. You were very comfortable with it as a story artist, as that’s what we do normally. We have to draw a scene and pitch it to the directors, so you need a tiny bit of showmanship. The tools look like the characters using them – was that used to show the different generations and technology that defined them? At first it was just one is saying one thing, and the other is saying the other. One says, ‘Push’ and one says ‘Pull.’ For a little bit, it was as simple as that. Then when we started really designing them and drawing them we came up with this idea of ‘Wouldn’t it be cool if they looked like their tools? Then we ended up with a push broom because of the mustache. Honestly, that started making a lot of sense. A push broom felt effective – more modern than just the broom, and the broom for Grandpa started really working wonderfully too. Honestly John Lasseter had a specific note about curving it. He remembered sweeper days, when he used to be a sweeper at Disneyland, how that everyone would be really jealous of their broom as it would get beat up just right. It had this hook to get cigarette butts. Then we used that. We recorded our animators using hockey pucks. The wonderful thing about that we find this contrast about Papa wanting to be done and Grandpa more specific precision and taking his time. Slowly it came into view. Animation ended up being a wonderful contrast even in rhythms. That was a wonderful sculpting of it that wasn’t right away in my mind. It slowly happened. Was it always your intent to get Michael Giacchino to score this?